Mt. Kameyama (亀山) is a mountain of Oshima island, Kesennuma, Miyagi pref. It is 235m tall. 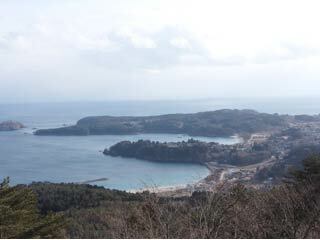 From the top of the mountain, it has a great panorama view of Kesennuma city and Pacific Ocean. The ropeway is not running as of 2012 Winter.